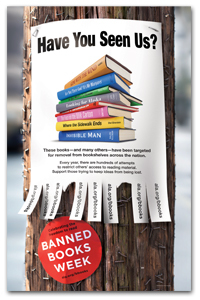 You can find out more about Banned Books Week at the American Library Association's Website. So read a banned book. And talk about it. And let's keep fighting for - and celebrating - our right to read!